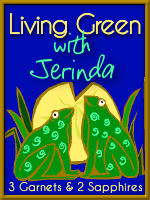 As you know, I only use non-toxic cleaners in my home and try to be as Green as possible with my cleaning products. Mostly, we just use vinegar and tea tree oil to clean with, but I am always on the hunt for inexpensive, healthy, non-toxic, eco-friendly cleaning products to use that work well. When I was sent the link to the JAWS cleaners, I immediately liked what the company’s vision was and how they were trying to set themselves apart in the eco-friendly cleaning world. JAWS stands for "Just Add Water System" because their cleaners come in a super-concentrated cleaning cartridge that is eco-friendly because it reduces plastic in landfills, conserves resources, and saves you cash. 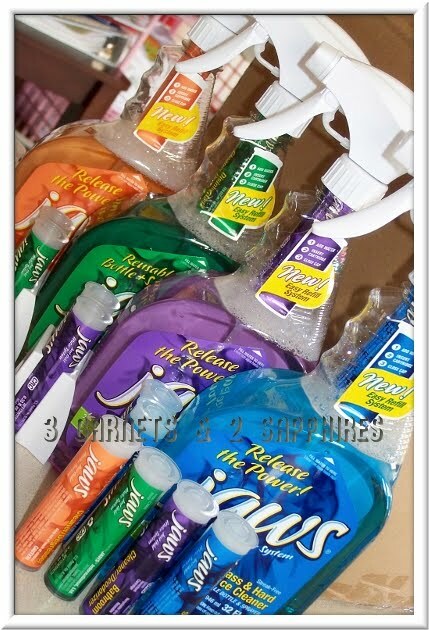 In fact, when you start buying refills for your JAWS bottles, you can make 2 full bottles of cleaners for less than $2 each, which is very cheap for non-toxic cleaners. The way JAWS works is simple: fill the handy, reusable spray bottle with water, insert the concentrated cartridge into the mouth of the bottle, put on the spray bottle lid, shake and use! Once the solution is made, it’s easy to use and really works. Plus, the JAWS bottle includes a convenient holder for two extra cartridges, an extra I found very handy. Because I am very particular about what my family uses I did request an ingredient list, which the JAWS people were happy to supply me, and after going over the ingredients I agree that they are non-toxic and more eco-friendly than most mainstream products, but they still could go a step further to being truly Green ingredients. That said, I found nothing in them that made me decide to discontinue use of them and I completely agree that the concentrated cartridge solution to cleaning is much more eco-friendly than buying big bottles of cleaners, thus creating more waste and more money spent on transporting these products to stores. Overall, I am happy with the JAWS cleaners . They work well, smell nice, and are non-toxic, which is most important to me. JAWS cleaners come in four formulas which include glass and hard surface, multi-purpose degreaser, bathroom cleaner/deodorizer, and disinfectant cleaner/degreaser. You can find more info about the cleaners, the company, and where to buy on their website, www.jawscleans.com. Thank you to JAWS for providing complimentary product samples for us to base this review upon.